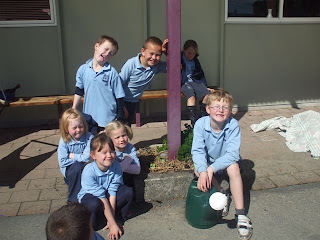 On Friday, a few of the Green Team members planted some lettuce plants out the front of the Room 5 classrooms. Also planted out were coreopsis plants which will give a nice patch of yellow flowers later in the summer. The children added compost to the soil and watered everything in. 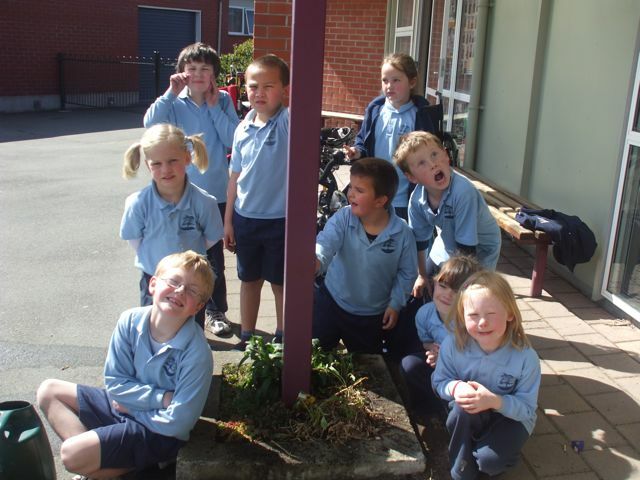 "Now the room 5 children can just reach out from their classroom to have salad in their lunch" said Michael.